Scope of Work: Design, Financial Modeling, Construction Oversight. 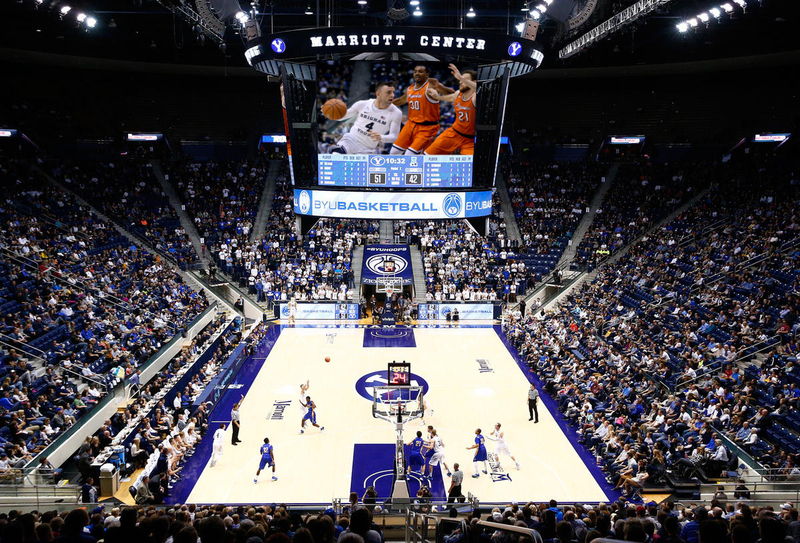 Marriott Center: LED Display Systems, Integrated Digital and Static Signage, Wi-Fi. Lavell Edwards Stadium: LED Display Systems, Integrated Digital and Static Signage. 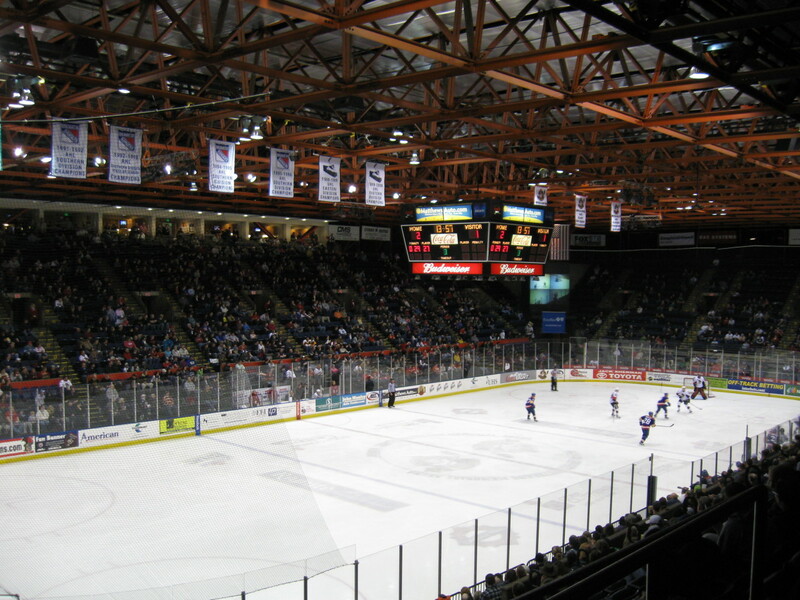 Smith Fieldhouse: LED Display Systems, Integrated Digital and Static Signage. Anthony James Partners (AJP) is proud to have once again had the opportunity to work with Brigham Young University as Owner’s Representative and AV Consultant in the acquisition and implementation of a pervasive high-density Wi-Fi solution for the Marriott Center. AJP provided the design, documentation and specifications required for a competitive bid process, awarding MS Benbow & Associates as the systems integrator. 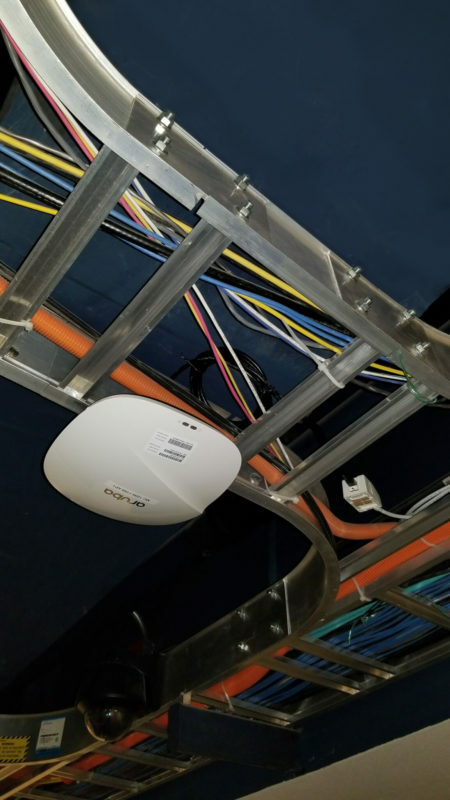 Using a combination of catwalk, ceiling, and surface-mounted access points, the state-of-the-art Aruba solution provides amazing throughput and coverage to BYU’s 20,000-seat arena and surrounding concourse and area. 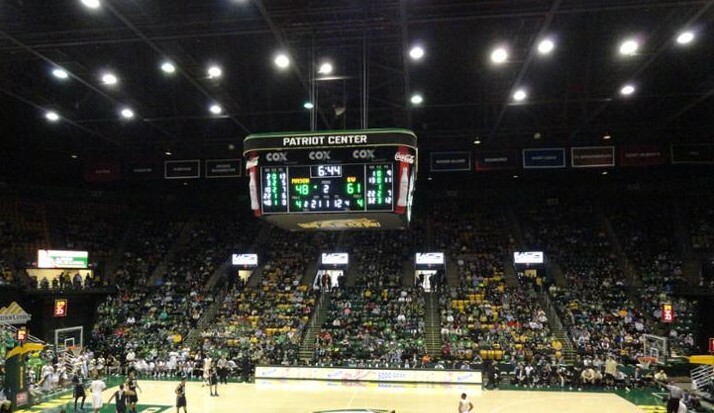 The design, installation, commissioning and optimization was performed during the off-season, and was successfully implemented in time for the beginning of the 2018-2019 basketball season. BYU students, faculty and fans now enjoy seamless roaming with an average event download speed of 68 Mbps/per user, and average upload speeds of 114 Mbps/per user. 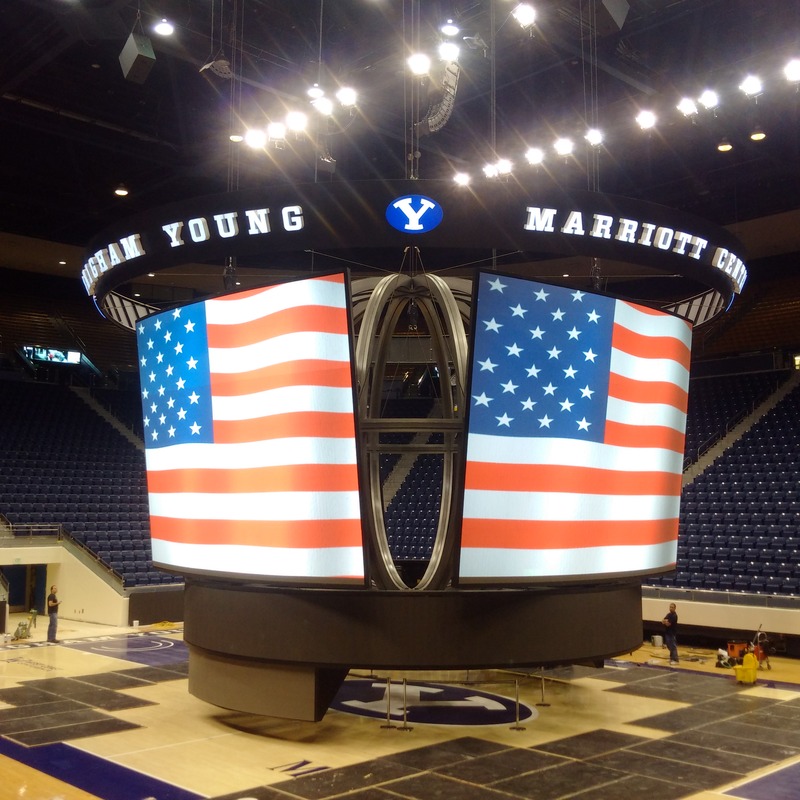 Completed September 2015, BYU’s unique center hung features four 24-feet-by-18-feet high resolution convex primary displays, an LED video venue identity ring with BYU logos, an underbelly illuminated channel logo, two underbelly video screens for courtside viewing and a sponsor LED video panel below each underbelly screen. 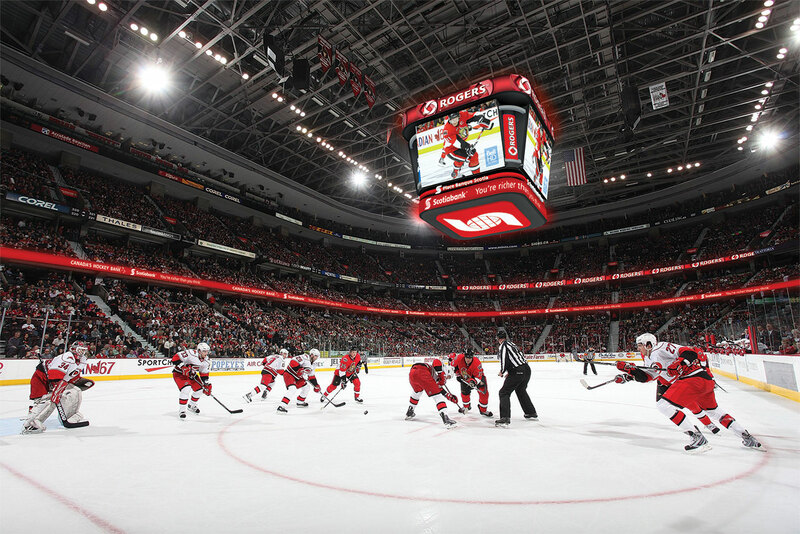 An aluminum custom globe superstructure behind the primary screens illuminates the impressive center hung for full audience impact. AJP’S comprehensive design and detailed financials enabled BYU to make legitimate and strategic budget determinations and design decisions in advance of the procurement process. As a result, the University knew precisely what the project would look like and cost before it went out to bid. PROVO, UTAH – If potential recruits around the country were unsure if BYU is committed to improving its standing in the country’s college basketball landscape, they should not be now. That was the message BYU basketball coaches Dave Rose and Jeff Judkins and high-ranking athletic department officials delivered Tuesday as the school unveiled plans to renovate and upgrade the Marriott Center arena and construct a long-awaited and state-of-the-art basketball practice facility on the 44-year-old multipurpose arena’s east side. Upgrades to the Marriott Center include the addition of chair seats to fill the entire lower and a new center-hanging scoreboard with 24×18-foot LED video boards on all four sides. The Marriott Center Annex, which is what officials are calling the new facility, will be approximately 38,000 square feet and replace the road that runs between the MC and the BYU Broadcasting Building. Rose downplayed the fact that his new contract, which will take him through the 2019-20 season, was announced a day before the facilities upgrades, but Senior Associate Athletic Director Brian Santiago did not. “They are tied together, and we wanted to make a loud statement of our commitment to the excellence of our basketball program, and how committed we are to stay nationally relevant and chase our dreams of a national championship,” Santiago said. BYU declined to divulge the cost of the projects, but said they are being privately funded, including funding for future maintenance costs. Rose said “quite a few” former players have been involved in the funding and fundraising. 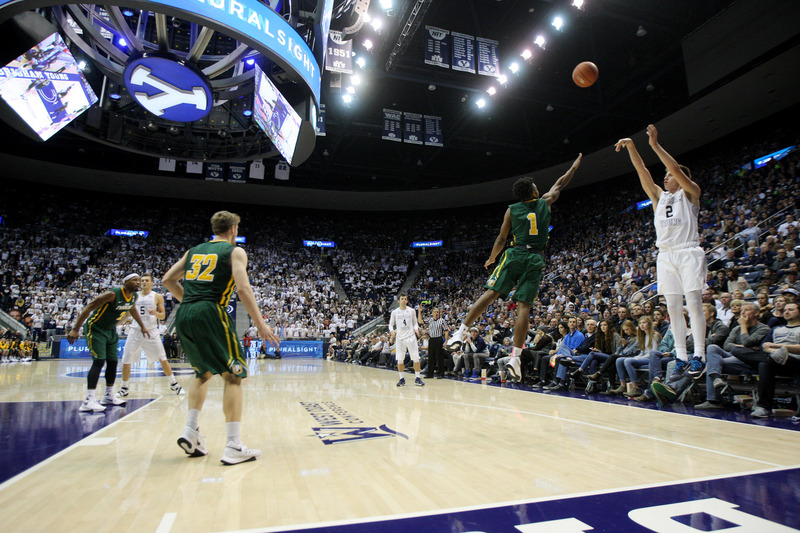 “There are a lot of really kind people that support BYU across the country,” he said. Speaking as players from both teams looked on in the back of the room, Judkins, who led the women’s team to the NCAA Sweet 16 last spring, said the women are just as excited as the men for the new facility. “I mean, this is something that we have really wanted so badly for our program to make us better,” Judkins said. Rose said former BYU president Cecil Samuelson is “the man who first started talking about this years ago” and thanked the administration for making it happen. Renovations inside the Marriott Center will begin around May 1 and are expected to be completed by late summer. The student section, known as the ROC, will remain behind the West basket and every student who wants to attend games will be accommodated, despite the loss of some 1,900 seats, Santiago said. The sideline configuration — scorer’s table, press tables and team benches — will be flipped back to where it was before the addition of several thousand blue chair seats on the north side a few years ago. 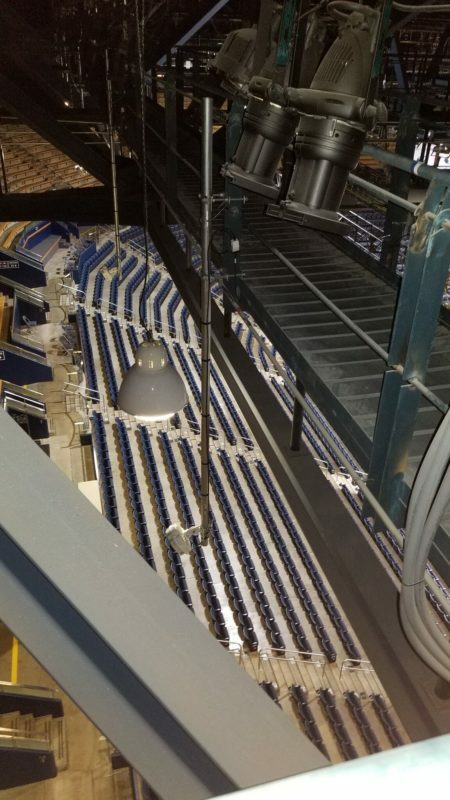 BYU officials checked out video boards in arenas across the country, but especially studied the new ones installed by the Utah Jazz in EnergySolutions Arena before the 2013-14 season and patterned them similarly. Ground will be broken for the Annex this summer. The project should be completed by the fall of 2016. “It will be state-of-the-art, and it will be beautiful, and it will give our student-athletes a chance to come here and chase their dreams and their passions,” Santiago said. The Annex will feature a replica of the Marriott Center floor with added shooting areas on both ends of the court, a strength and conditioning center, a training room with hydrotherapy, meeting rooms, team lounges and study areas, and office suites for men’s and women’s basketball coaches. It will also include a Basketball Hall of Honor to showcase both programs’ histories.